The undesirable forecast did not deter the dedicated competitors who loaded up and followed the road to Connell Hill on Saturday for the last chance to qualify before the final next Saturday, 21st November, where everyone is invited to attend; competitors who have jumped at four legs are qualified for this final. Tracks designed by, Course Designer, Nigel Jess saw riders demonstrate skilful control with precision strides. Judge, John Chambers, swiftly swept the show into action with the 80 cm class which saw Noel McKee, from Glenavy, revel in glory as he closed the class jumping double clear on his own mare ‘Keeford Glory’. Mastering the 90 cm class with double clears was Stephen Darragh, from Larne, on both his horses ‘Sunbeam (IHB)’ and ‘Master Jones’. The arena hummed as the course was set for the 1.10 m class which saw an opening double clear for Sarah Agnew, from Kells, on her own gelding ‘GalwayBay Hummer’. Suzanne Posnett, from Comber, controlled the 1.20 m class taking first place on her own heroine ‘Karmijn’ and then second place on, Patricia Connons’ mare, ‘Atricia Roundthorn’ with Edward Little cruising into third place on, Brian Porters mare, ‘Cruising Queen’. True to form and last to jump in the 1.30 m class with an incredible double clear to take the honours of first place was John Higgins, from Magherafelt, on his own gelding ‘Sansibar’. Next Saturday, 21st November, will see the final of what can only be described as an awesome league, with competitors jumping at four legs qualifying for this showdown, this is a day not to be missed. 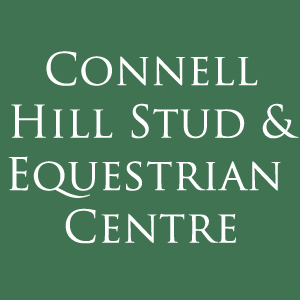 Classes 80 cm – 1.30 m commencing at 10.00 am, contact Gillian on 078 0317 8009 or Grace on 077 6588 4254 for details.